When you’re eager to get behind the wheel of a new Mercedes-Benz vehicle, the entire team at our dealership is here to help you find your way into the perfect new vehicle. We’re with you every step of the way, including the planning of your Mercedes-Benz financing at our Princeton dealership serving Hamilton and Yardley, PA.
As you begin planning your purchase, we can help you find out what your current car is worth. You can even look up your car’s trade-in value here on our site, and we’ll make you an offer so that the process is as seamless and easy as possible. Input some basic information here on our site, allow us to confirm it, and we’ll quickly give you an offer for the value of your trade-in vehicle. In addition to making the trade-in process easy, this also allows you to factor in trade-in value as part of your down payment when calculating your car payment with our Mercedes-Benz dealer near Yardley, PA, and Hamilton. 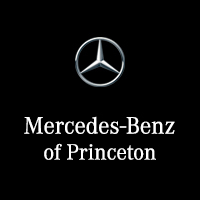 For more information on all of the ways that Mercedes-Benz of Princeton can help you keep things simple while getting behind the wheel of a luxurious new vehicle, don’t hesitate to contact us by calling (609) 771-8040. We’re always here to help.